The most disappointing cancellation was that of Anna Netrebko, who sent a note saying she was not going to appear because she had just played Lady Macbeth in the Verdi opera the night before and found the role more taxing than she had anticipated. The other no-shows were for colds. 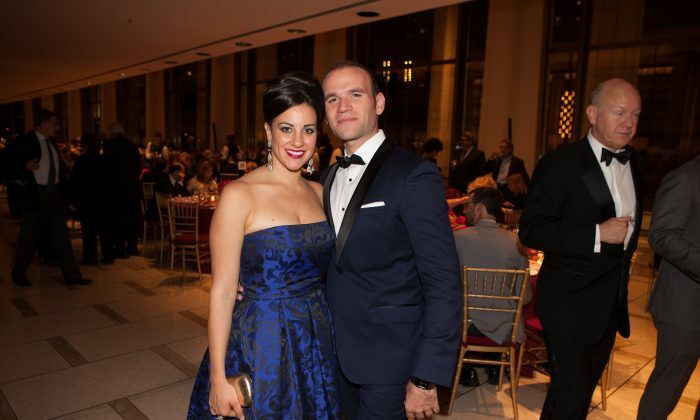 In any event, the audience was still treated to a series of arias and scenes from top-flight opera singers accompanied by the Richard Tucker Gala Orchestra led by Emmanuel Villaume. Villaume was recently named Music Director and Chief Conductor of the Prague Philharmonia. The New York Choral Society performed under Music Director David Hayes. The lights were darkened so that the audience could listen to Richard Tucker’s recording of Rossini’s lively “La Danza” (which is available on YouTube). Tucker used to say he wanted to hit a home run every time he sang, and his rendition of the upbeat song fit the bill. Fabiano was later joined by soprano Joyce El-Khoury in a duet from Massenet’s “Manon.” They really acted out the scene and at the end kissed as if they meant it. South African soprano Pretty Yende surmounted the technical challenges of the mad scene from “I Puritani.” She later returned for a charming rendition of “I Feel Pretty” from Bernstein’s “West Side Story.” The artist seemed as amused as the audience by the fact that someone named Pretty was singing a song about feeling pretty. Baritone Zeljko Lucic (who had appeared in the title role in “Macbeth” the night before the Gala) performed “Nemico della patria.” This is the aria in Giordano’s “Andrea Chénier” in which the villain of the piece, Gérard, contemplates his own corruption. Lucic successfully conveyed the complex emotions, as well as the beauty of the music. Mezzo soprano Elena Bocharova brought her dark sound to “Regina Coeli…Inneggiamo” (the Easter Scene) from Mascagni’s “Cavalleria Rusticana,” ably joined by the New York Choral Society. The concert ended with the sextet from Donizetti’s “Lucia di Lammermoor,” featuring Meade, Cano, Fabiano, Abdrazakov, Andrew Stenson, Nicholas Pallesen, and the New York Choral Society. Cancellations notwithstanding, the concert was a success, reminding everyone about the great Richard Tucker (1913–1975) and the important work of the Tucker Foundation in supporting worthy young artists.